November 2015, the world was shocked by the attacks in Paris. 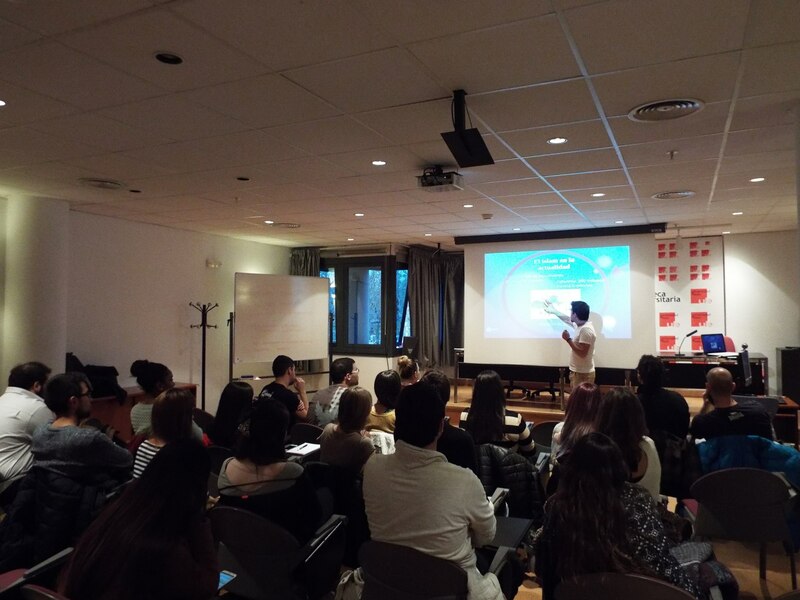 Among others, the Spanish local AEGEE-León decided to take action and organised a session on the future of Europe and islamophobia, related to the Focus Area of Spreading Europtimism. Seeing that their current President, Marcos Mato Gonzales, is also a member of the Action Agenda Coordination Committee (ACT), it will come as no surprise that many of their events are related to our Action Agenda. We spoke to Laura Perez Alvarez to find out more! Laura: León is a small city, so for us having more than 100 members is a big deal! We organised Renove V (a weekend event for locals of our Network Commissioner with more than 140 participants) in September and right after that we changed our board. We have been trying to focus on organising relevant events. Since our president joined ACT in August he has been helping us to organise better activities that are more related to the Action Agenda. He was the one that came up with the idea for a series of sessions open to AEGEE members and other students about many different hot topics. ​Why did you decide to organise the session on the future of Europe and islamophobia? There were many reasons. First of all, it was the time right after the terrorist attacks in Paris, because of which we saw that islamophobia was increasing. We have friends who are refugees and they were scared. We decided that we, as AEGEE members, should do something, so we talked to the islamic community here in León and the university. The idea for the sessions, including a speech and debate, just came up. What was the result of your session? The session was really interesting and attracted a lot of people: members of AEGEE-León, Erasmus and international students, other students and even two representatives from the muslim community. In total, more than 50 people attended the sessions. There were a lot of different opinions in the audience, which led to a great debate. We had some hungarian people as well and they gave us their point of view about the situation and explained some concepts we didn’t really know about. There was also a more intensive debate about the war in Syria and whether to support it or not. Some people thought that it is the only option and for some others war is never an option. ​Why do you think the Action Agenda is important for the Network, and what would you say to locals that are thinking about organising something related to the Action Agenda? To locals that want to organise something, we would say: do it! We think AEGEE has a lot to offer and locals have a lot of potential, which is why the Action Agenda is so important for us. The Network needs to have a direction, and to have events that help us grow as an organisation. Do you have any other big plans for the upcoming months​? Right now we plan on continuing with more sessions at the university about important topics, like feminism and youth employment, with a speaker from the City Hall. Besides that, we are planning to have a workshop about ACT and the Action Agenda. Besides that, a lot of our members (more than ten) went to the EPM in Leiden, so now we want to host another session explaining the results of the event to the rest of our members. 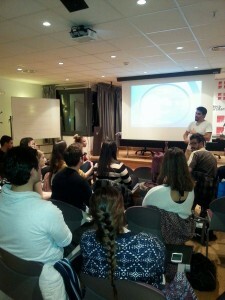 AEGEE-Leon has certainly shown to the Network that it can be an example to other locals. What would you say to other locals that want to be as awesome as you? Work hard, play hard. 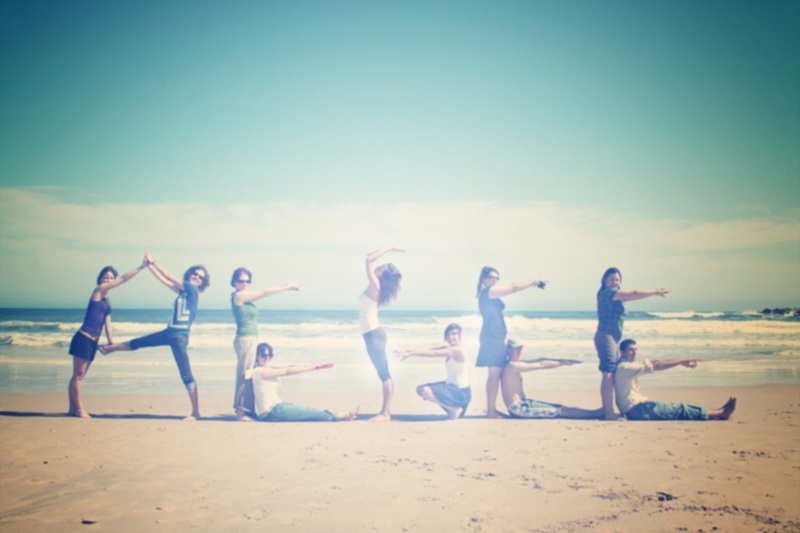 We have very active members that work really hard to improve our antenna, while they also have fun! We have also implemented a mentorship program” to help our newest members know AEGEE better. So, as advice for other locals we would say: it’s important to motivate your members, especially those who seem interested, and help them develop their full potential. We, as young europeans, must be informed about the problems in today’s Europe. To spread europtimism, you have to know what Europe means!